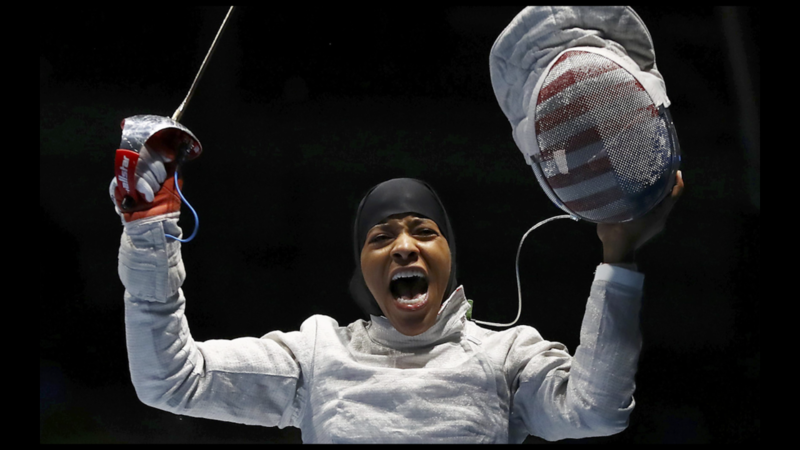 Ibtihaj Muhammad on Monday made history in Rio as the first Muslim woman to represent the U.S. Olympic Team wearing a hijab. The eighth-ranked saber fencer made the most of her moment during Day 3 of the Rio Games, defeating 33rd-ranked Olena Kravatska of Ukraine, 15-13, in the round of 32. In the round of 16, Muhammad took an early lead against ninth-ranked Cecilia Berder of France but fell, 15-12. She will take part in the team competition later in the Games. In addition to being eighth worldwide, the New Jersey native arrived at the Olympic Games ranked No. 2 in the U.S., yet her greatness goes beyond her athleticism. Muhammad, who attended Duke on an academic scholarship, was one of Time's 100 Most influential People in 2016. In 2014, she launched her own clothing company called Louella which makes clothing that is both modest and fashion forward. She is also a sports ambassador for the U.S. State Department's Empowering Women and Girls Through Sport Initiative and travels the world to teach girls the importance of sports and education. She started fencing at 13 to participate in a sport that covered her body, adhering to her faith. 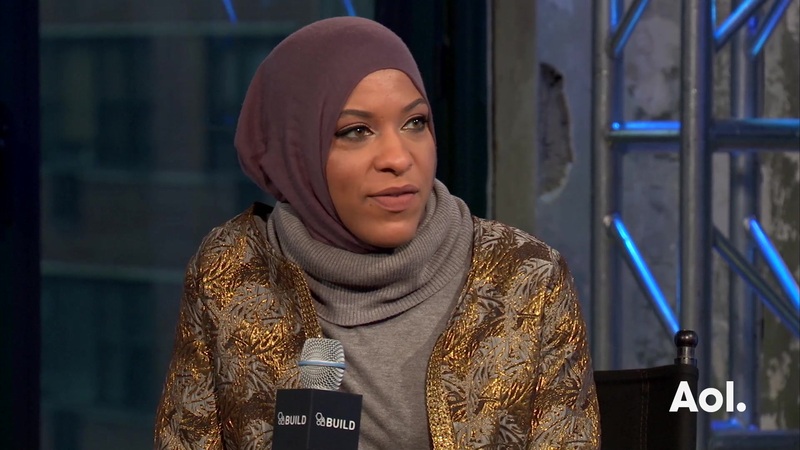 And now, in front of millions at 30, she's challenging stereotypes of Muslim and African-American women as a U.S. Olympian. HEROES OF SYDNEY 2000: WHERE ARE THEY NOW? Michael Phelps was 15 years old in the 2000 Olympics. He finished fifth in the 200-meter butterfly, his only event of the games. Now 31, Phelps is the most decorated Olympian in history and is expected to medal again in Rio. Australian swimmer Ian Thorpe won five medals, three of them gold, in 2000 as a 17-year-old. Today, the "Thorpedo" does occasional media commentary, owns an aquatic center in Australia, and recently launched a line of pool cleaners called Thorpedo. Moussambani will attend the Rio Olympics as the coach of the Equatorial Guinea swim team. Misty Hyman became the hero of US Swimming when she pulled off a major upset over Australia's Susie O'Neill to win gold in the 200-meter butterfly. Hyman didn't qualify for the 2004 Olympics and retired from swimming. Today, she's an assistant coach for Arizona State University's swim team. Dara Torres was another US swimming star, winning five medals, two gold in relays, after taking a seven-year break from swimming from 1992 to 1999. Russian gymnast Alexei Nemov won the most medals in the entire games, pulling in two individual golds. It's unclear what Nemov currently does, though he made headlines in 2016 for getting in an altercation with a political activist. Michael Johnson concluded his legendary career with a gold medal in the 400 meters. Widely considered the greatest 400-meter runner in history, Johnson now works with BBC and owns a training company called Michael Johnson Performance. He will be with BBC at Rio 2016. Maurice Greene also starred for US track, winning a gold in the 100 meters and the 4x100-meter relay. Greene retired as one of the best male sprinters, and has since appeared on "Dancing With the Stars" and volunteered as a track coach at UCLA. Marion Jones dominated women's track for the US, winning five medals, three of them gold. Jones was later stripped of those medals after admitting to taking performance-enhancing drugs. She has since written a book and become a public speaker. Ato Boldon shined for the Trinidad and Tobago track team, pulling in a silver and bronze medal. Today, Boldon is a track and field analyst for NBC Sports and ESPN. Sprinter Cathy Freeman was a star for Australia in 2000. An Indigenous Australian, she won gold in the 400 meters and carried the torch in a spectacular opening ceremony. Now, Carter is 39 years old and still playing in the NBA. Meanwhile, Sheryl Swoopes averaged over 13 points per game to lead the US women to a gold medal. Swoopes was inducted into the Hall of Fame in 2016 and was coaching the Loyola Chicago women's basketball team but was fired in 2016. American wrestler Rulon Gardner became a legend when he pulled off a massive upset over Russian wrestler Alexander Karelin, who had not lost in 15 years. Gardner has had a bit of a wild journey since 2000. He's attempted several comebacks, struggled with weight, appeared on "The Biggest Loser," and worked briefly as an analyst. He attempted to make the trials for Rio 2016 but was unsuccessful. Lisa Fernandez set an Olympics softball strikeouts record for the US. Today, Fernandez is an assistant coach for UCLA's softball team. In 2000, Venus, 20, and Serena Williams, 18, won gold in women's doubles. Venus also won gold in women's singles. Now, Serena is 34, Venus is 36, they're ranked first and sixth in the world, respectively, and own 114 combined singles titles. In 2000, Lance Armstrong was 28 years old and fresh off his first Tour de France victory. He won bronze in the individual time trial. Armstrong, of course, after his immense doping scandal, was stripped of his Olympic medal. Now, Armstrong has various projects, including a podcast. Van Moorsel is the most decorated women's cyclist of all-time and now owns Leontien Total Sports, a sportswear shop, and the Leontien Foundation, which raises money and awareness for eating disorders.